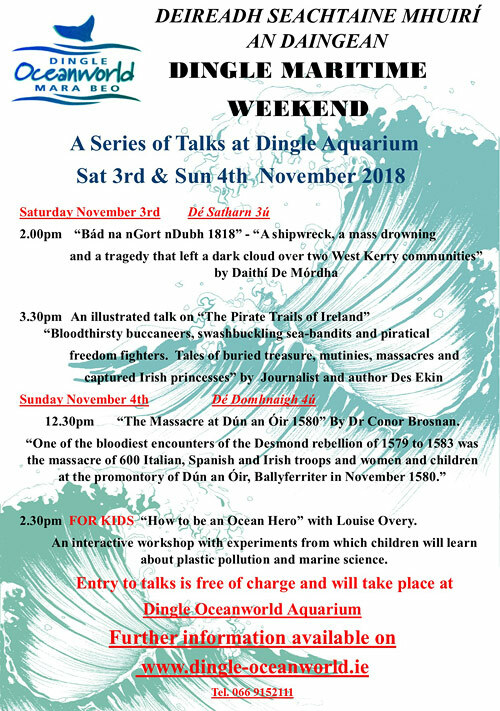 A series of talks at Dingle Aquarium – November 3rd and 4th 2018. ‘Bád an nGort nDubh 1818’ – A shipwreck, a mass drowning and a tragedy that left a dark cloud over two West Kerry communities. 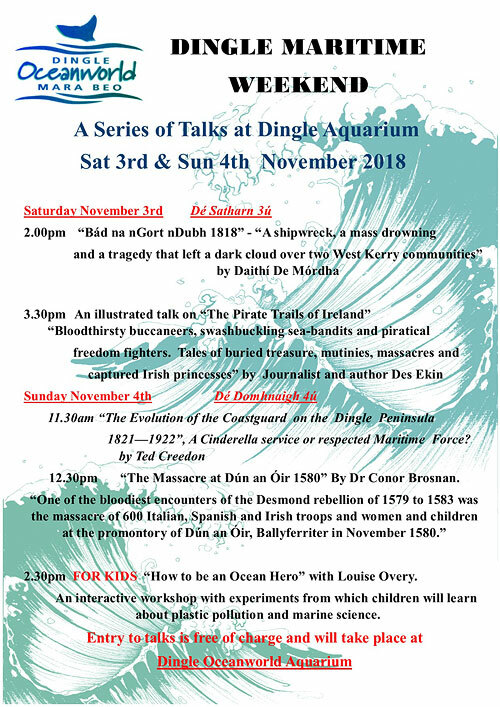 An illustrated talk on ‘The Pirate Trails of Ireland’ – Bloodthirsty buccaneers, swashbuckling sea-bandits and piratical freedom fighters. Tales of buried treasure, mutinies, massacres and captured Irish princesses by journalist and author Des Ekin. ‘The Evolution of the Coastguard on the Dingle Peninsula 1821-1922’, A Cinderella service or respected Maritime force? ‘The massacre at Dún an Óir 1580’ – One of the bloodiest encounters of the Desmond rebellion of 1579 to 1583 was the massacre of 600 Italian, Spanish and Irish troops and women and children at the promontory of Dún an Óir, Ballyferriter in November 1580. 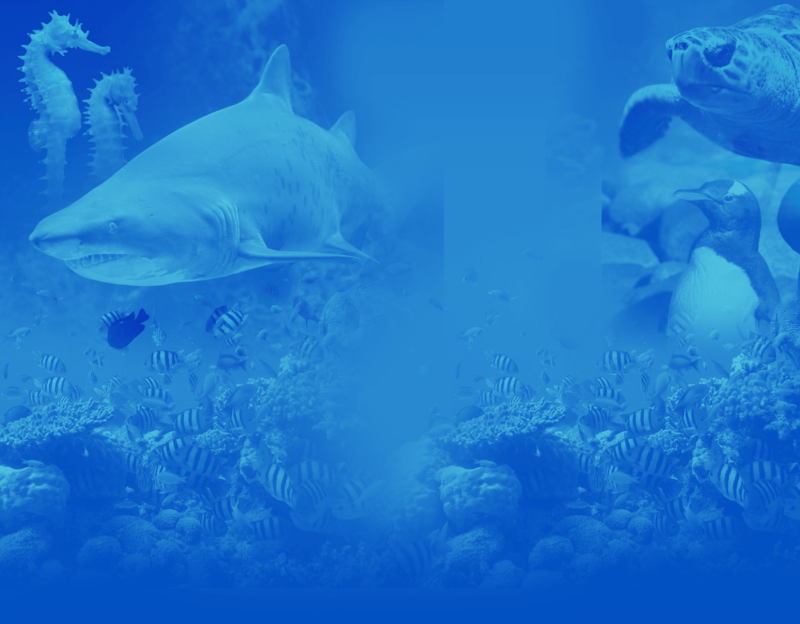 FOR KIDS – ‘How to be an Ocean Hero’ – An interactive workshop with experiments from which children will learn about plastic pollution and marine science. 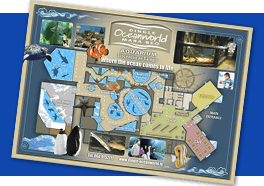 Entry to talks is free of charge and will take place at Dingle Oceanworld Aquarium.